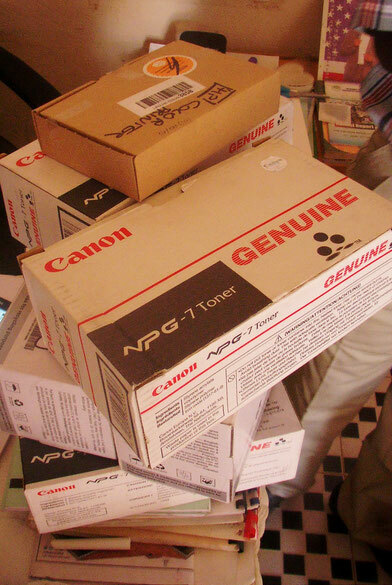 The parcel containing the printer cartidges etc. has finally arrived in Wassu, where it was already eagerly awaited. The final exams are imminent and the old toners were empty already. Principal Momodou Kanyi (right) is thanking the generous donors. 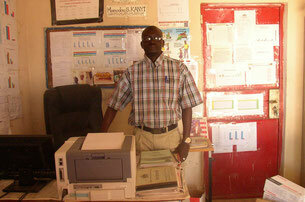 PS: On the photo to the right, you can see the principal's office with one of the donated chairs, screens, keyboards, printers and some of the Mondi copy paper.